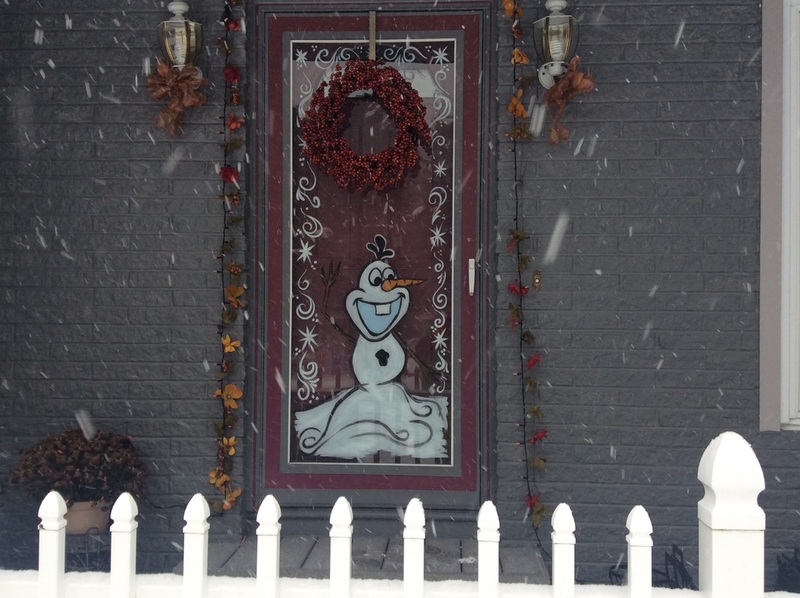 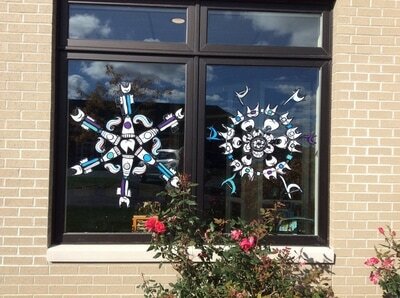 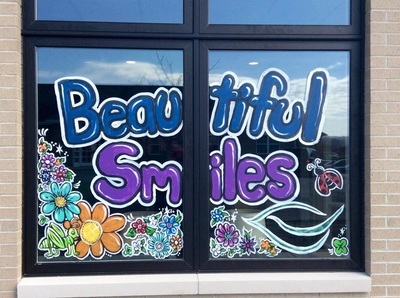 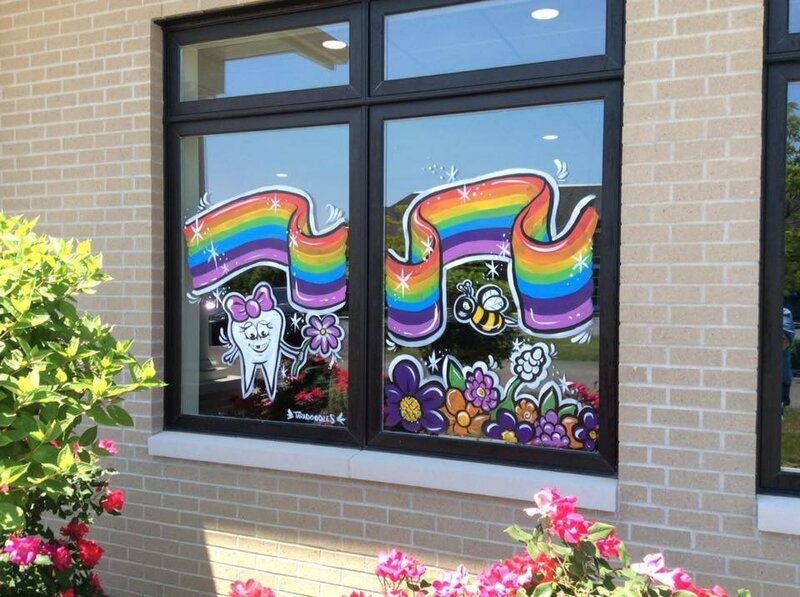 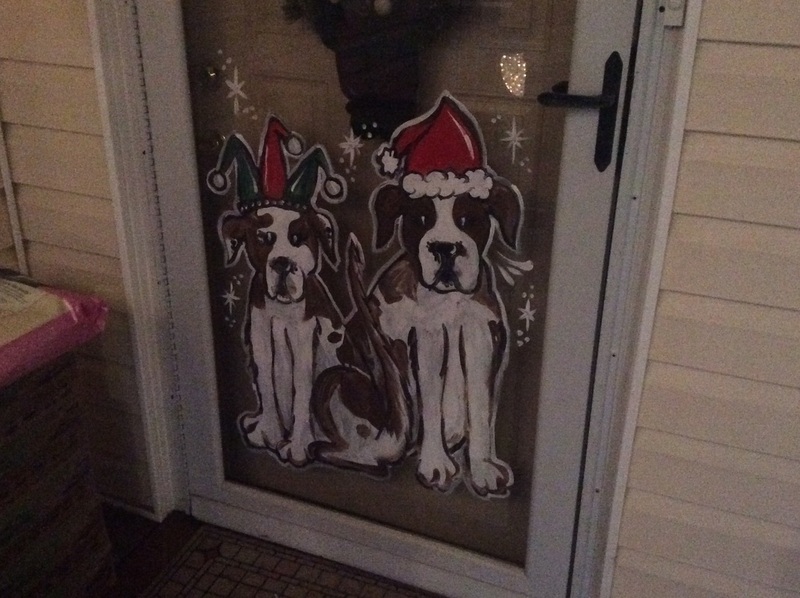 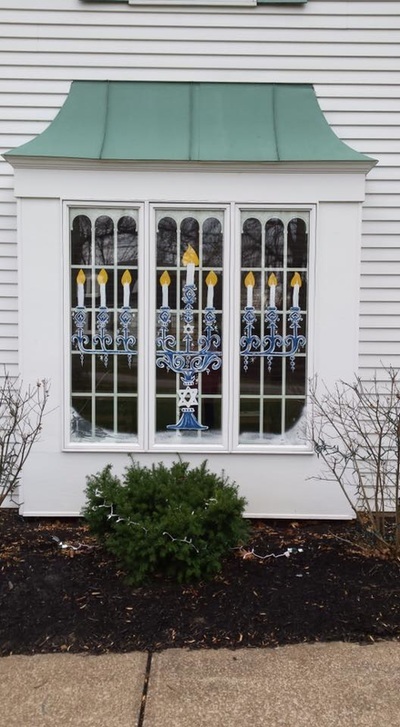 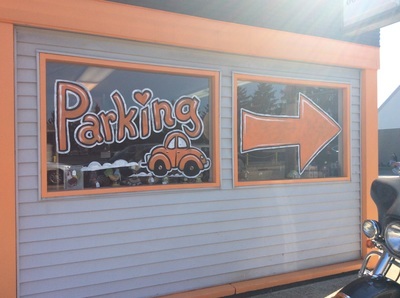 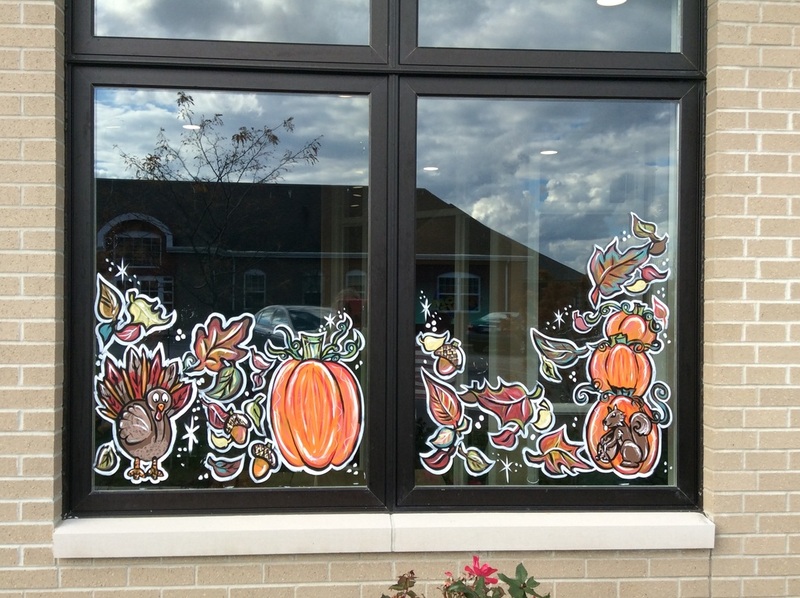 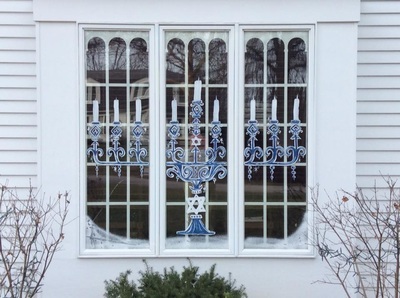 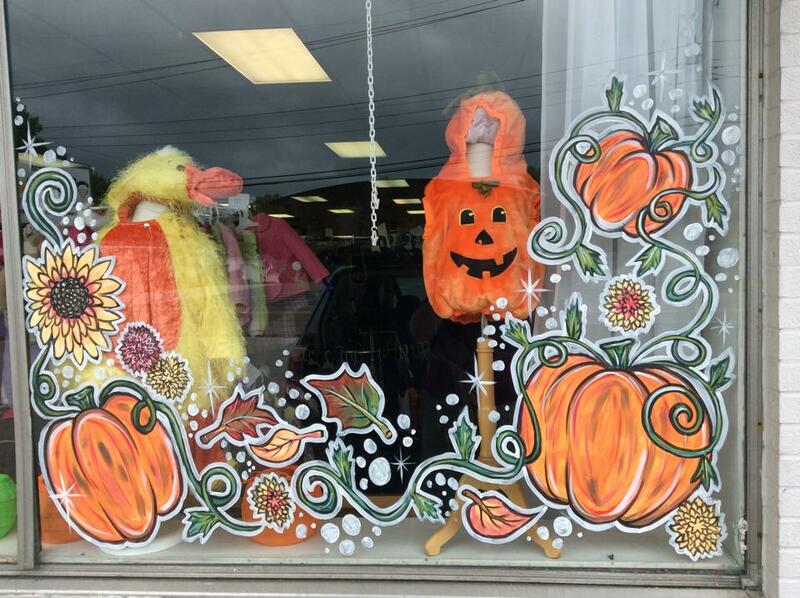 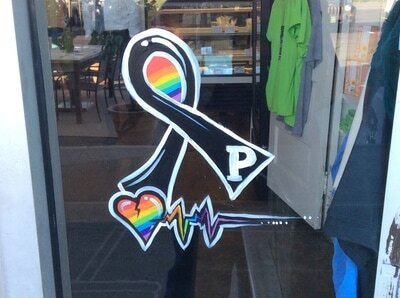 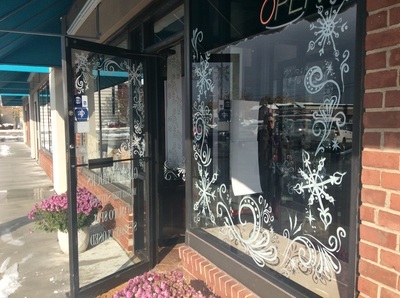 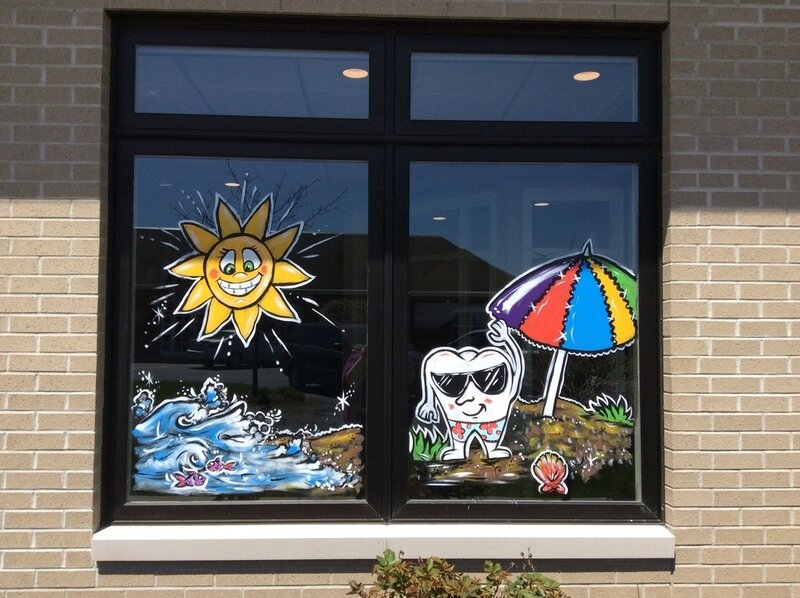 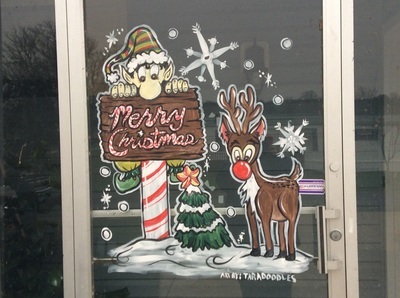 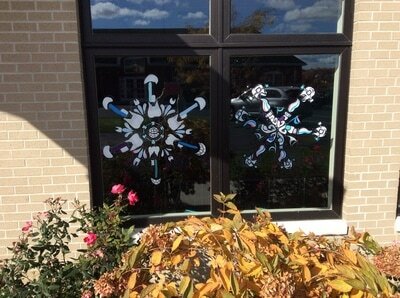 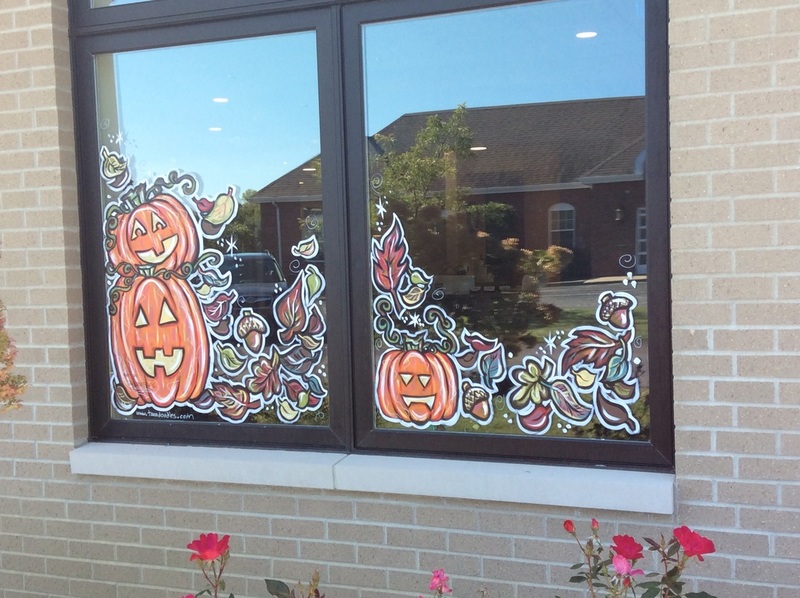 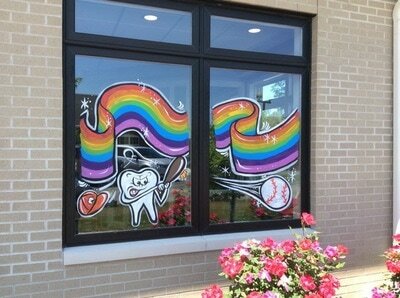 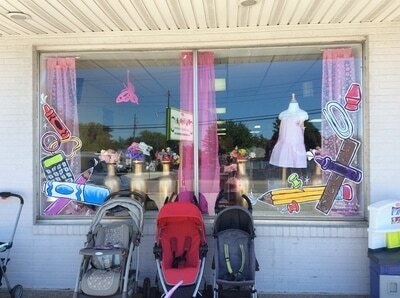 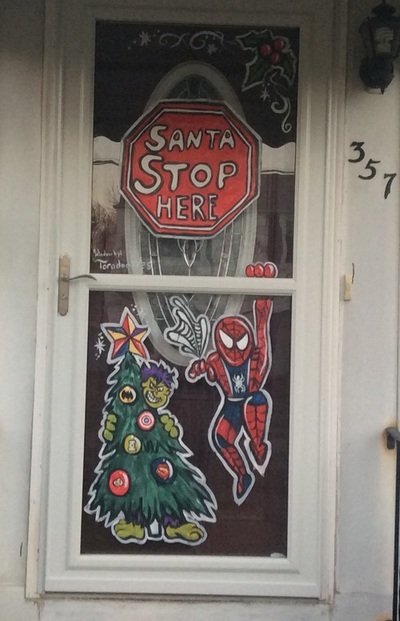 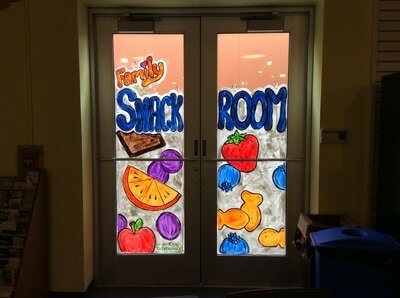 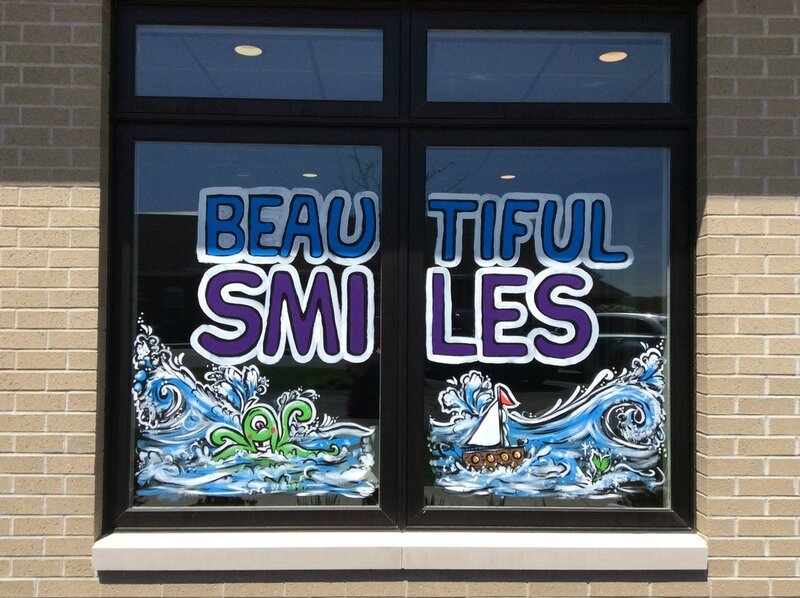 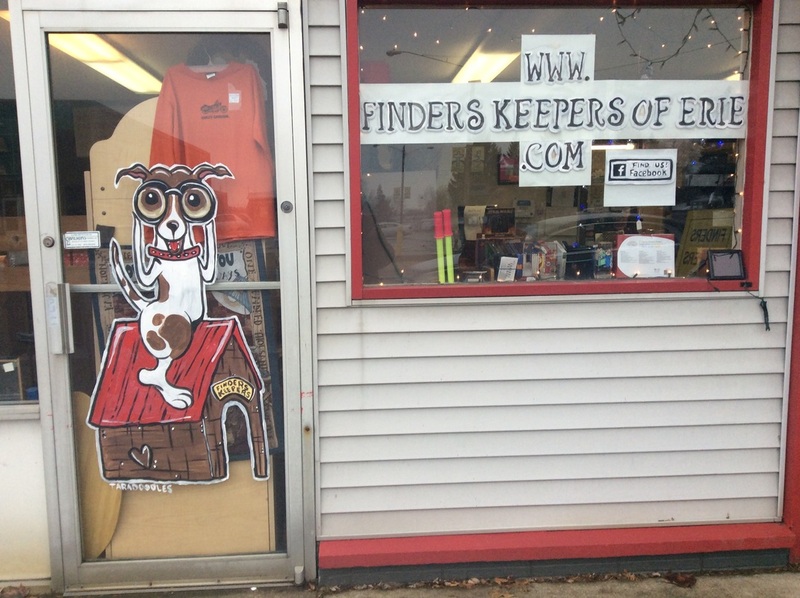 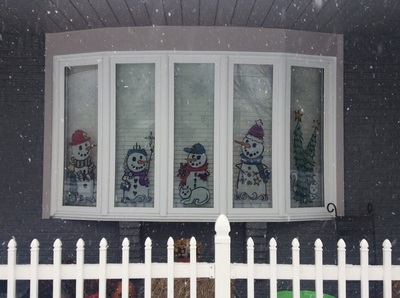 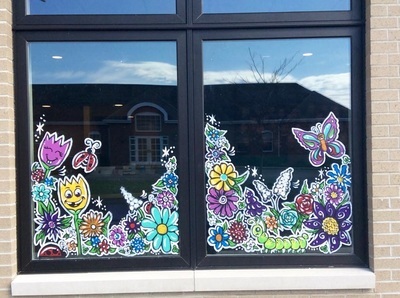 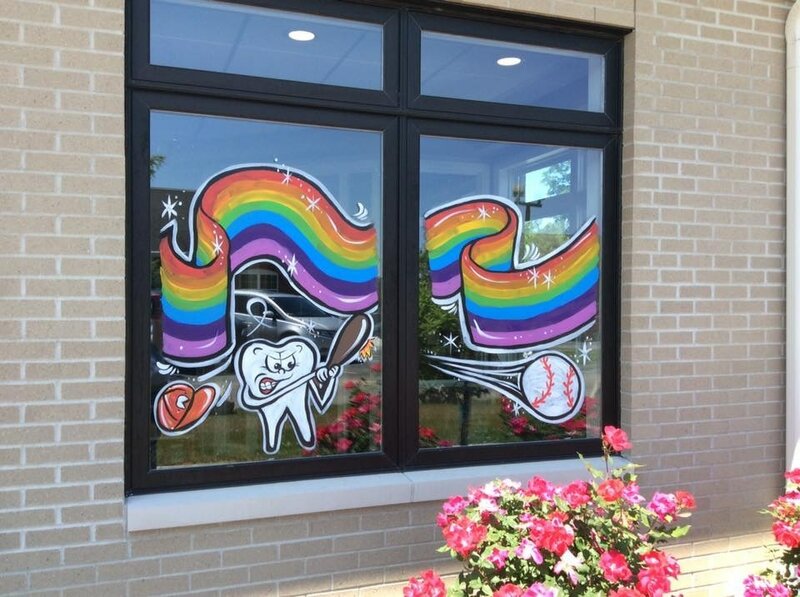 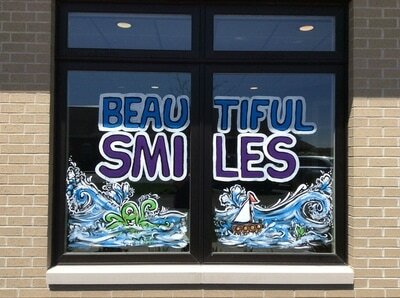 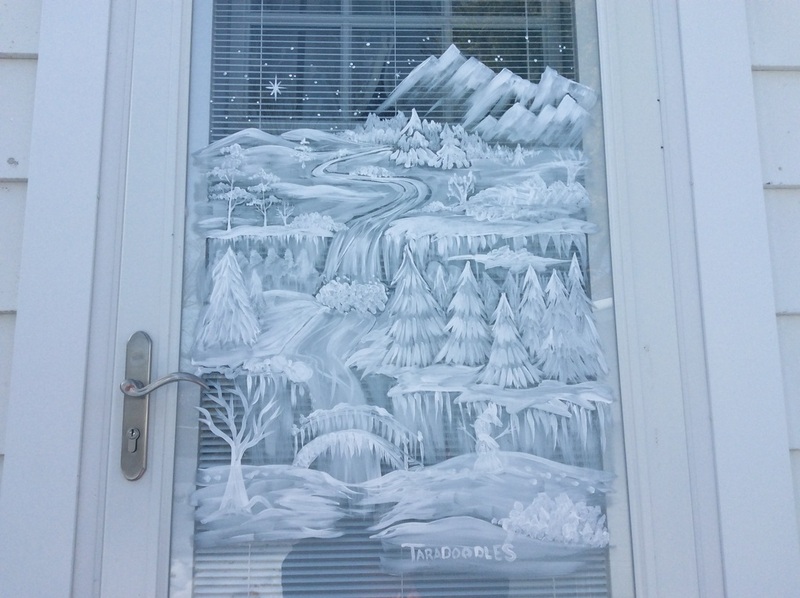 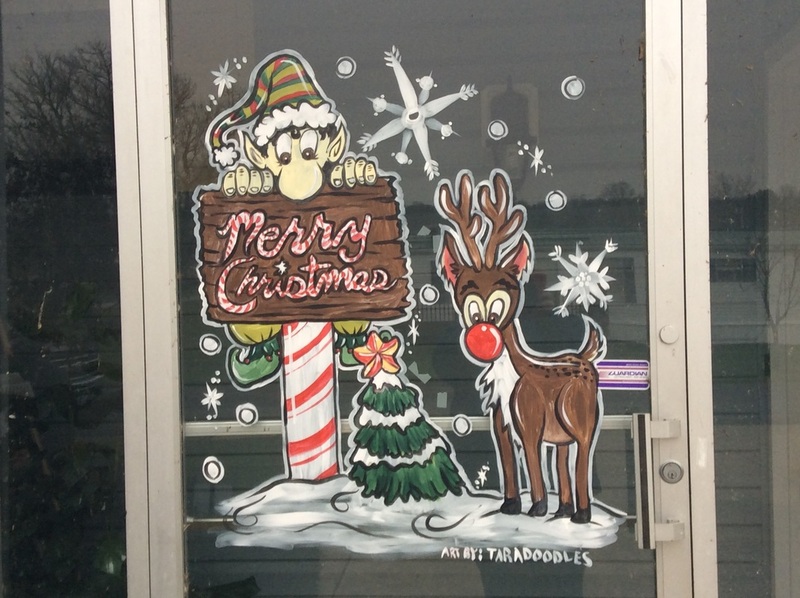 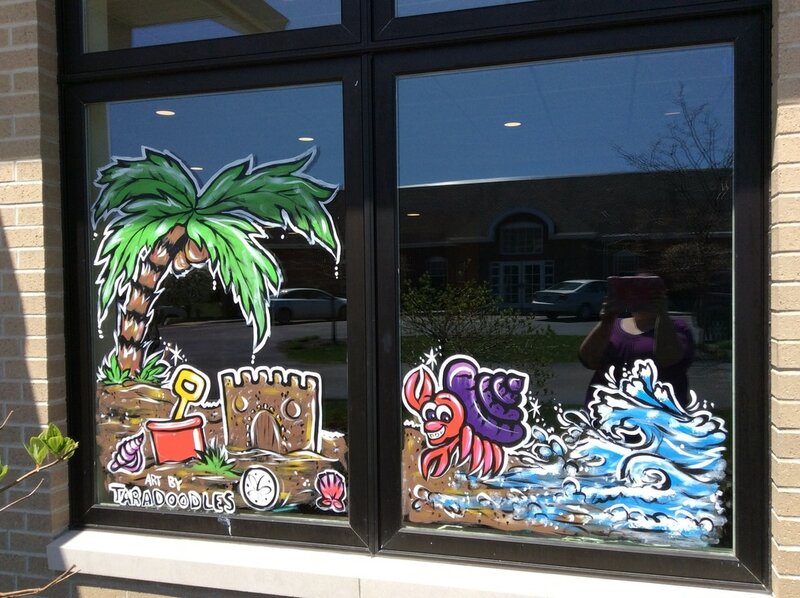 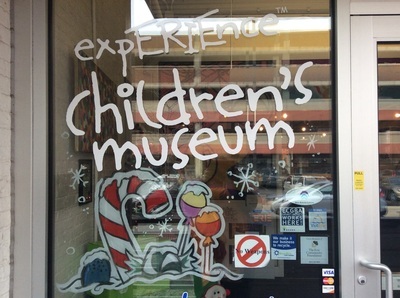 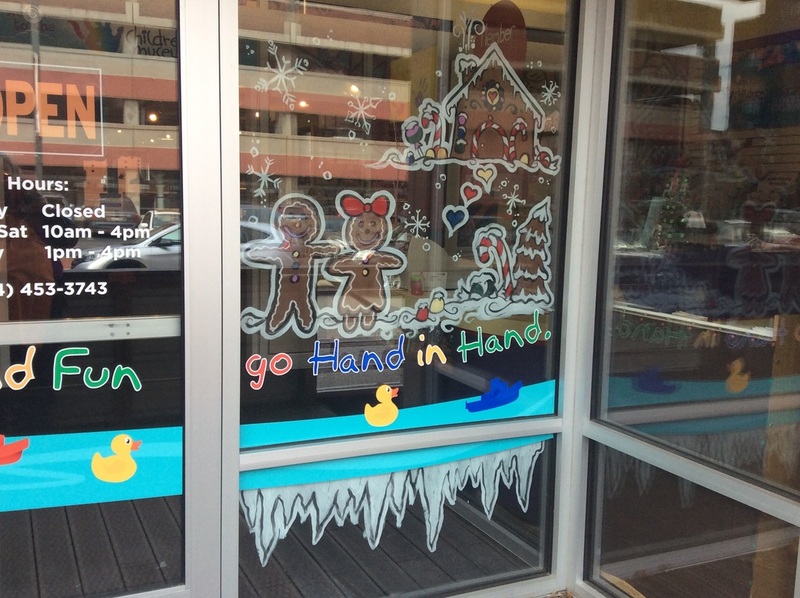 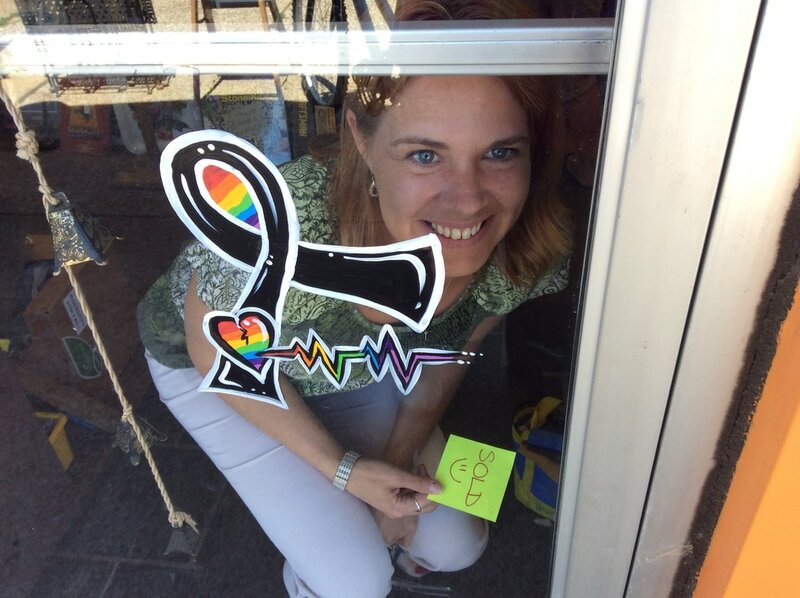 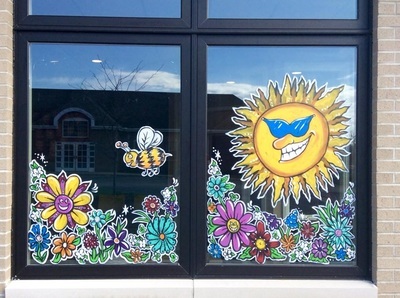 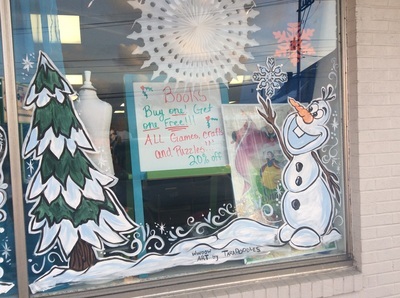 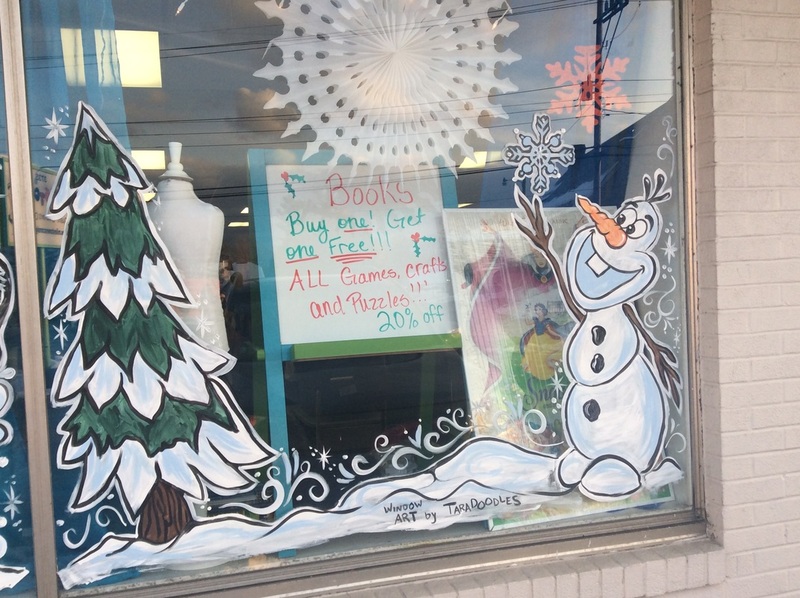 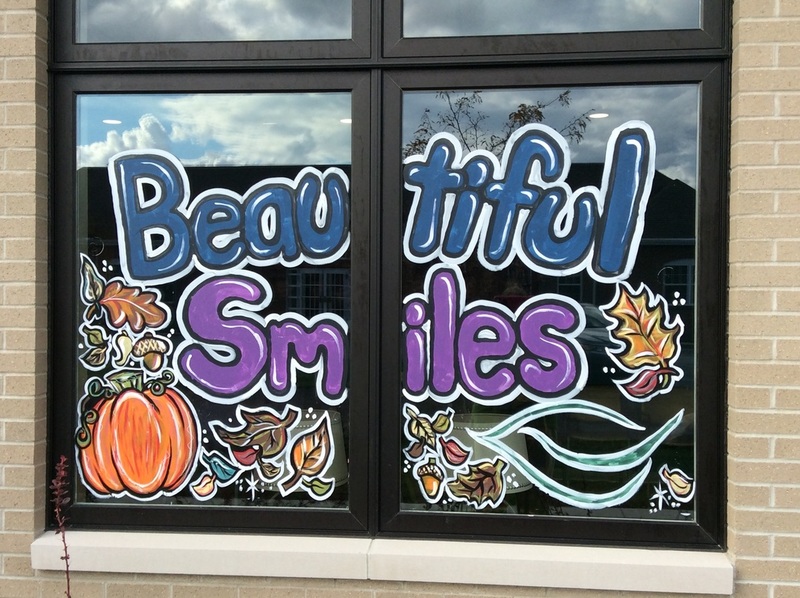 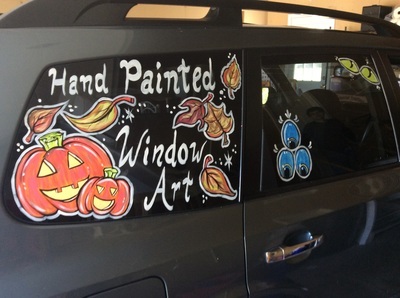 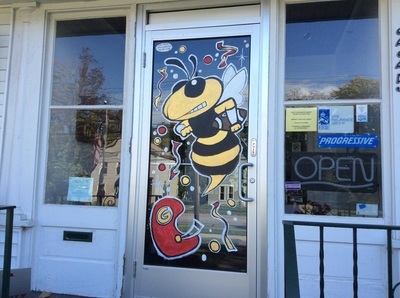 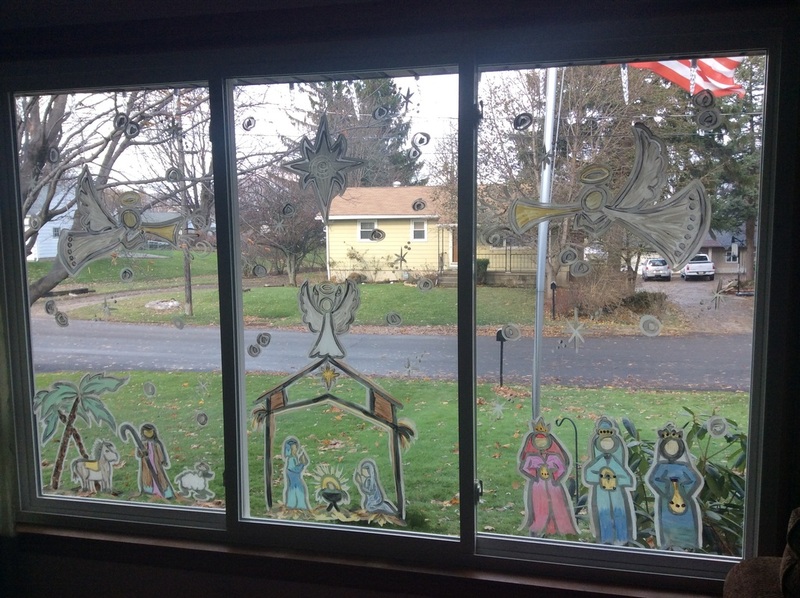 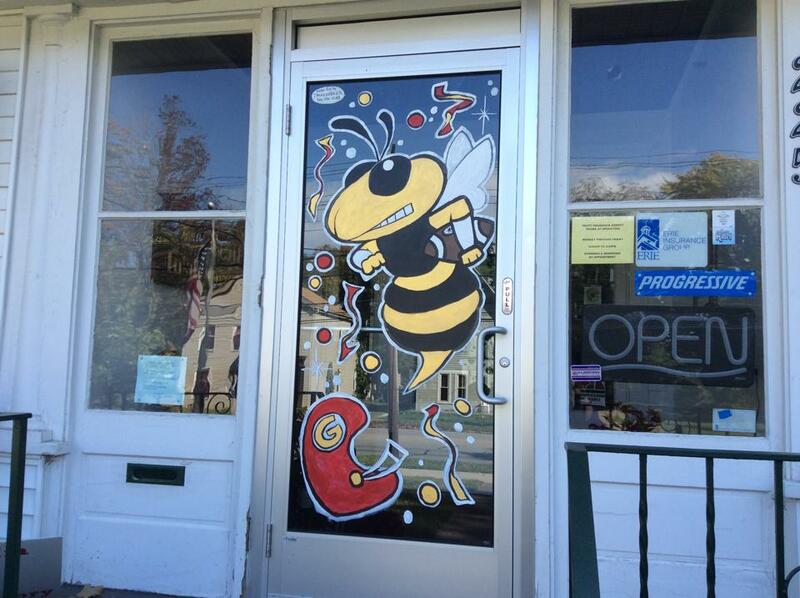 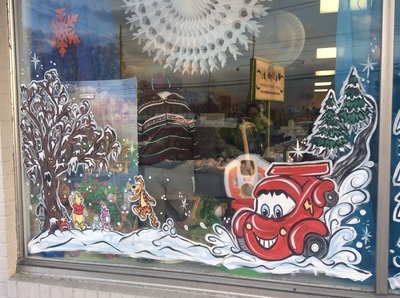 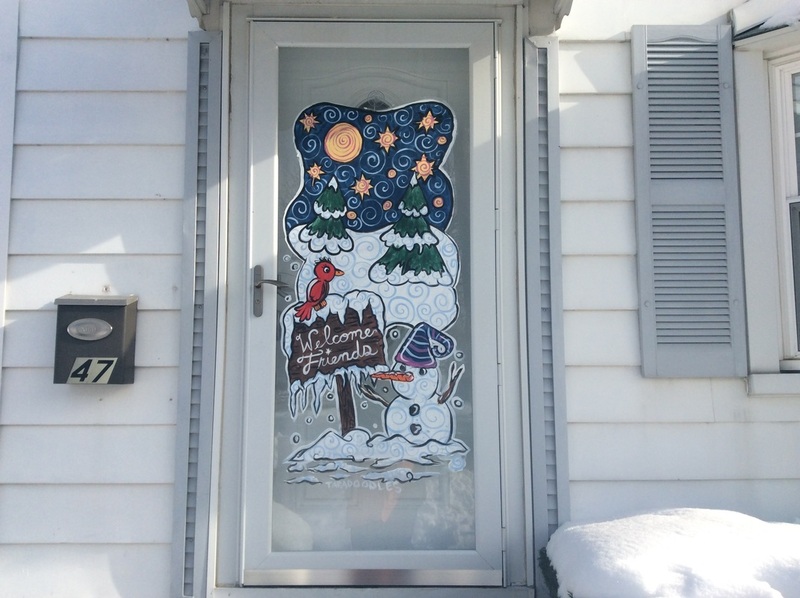 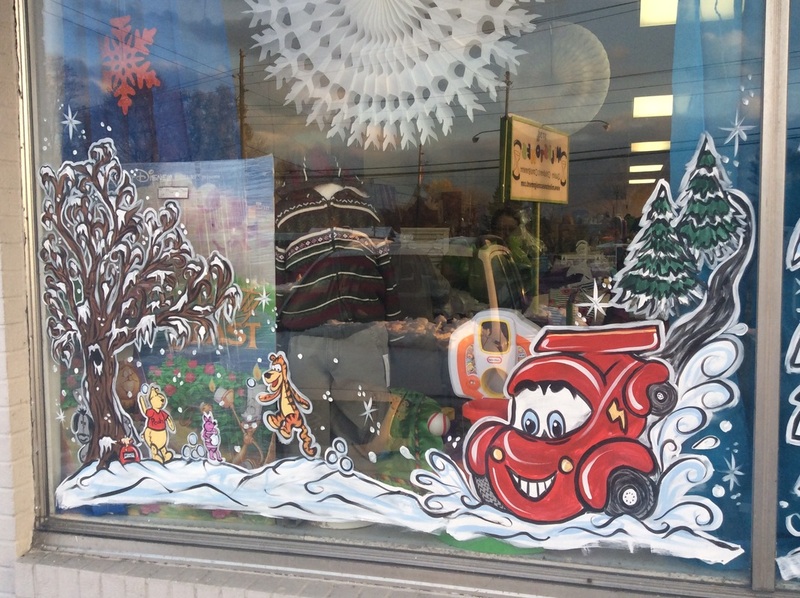 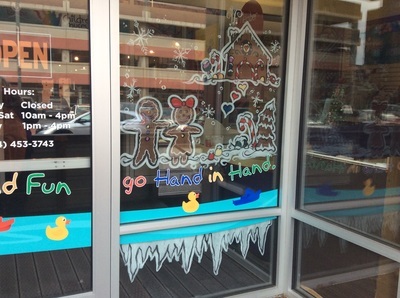 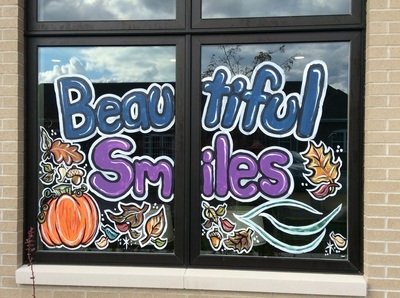 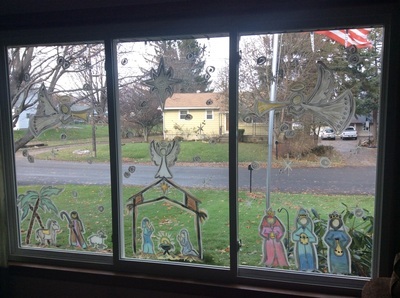 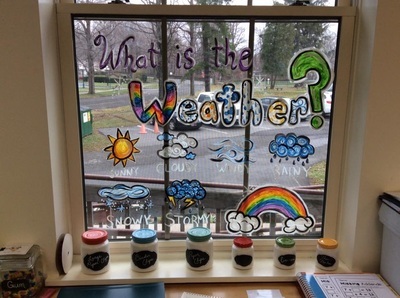 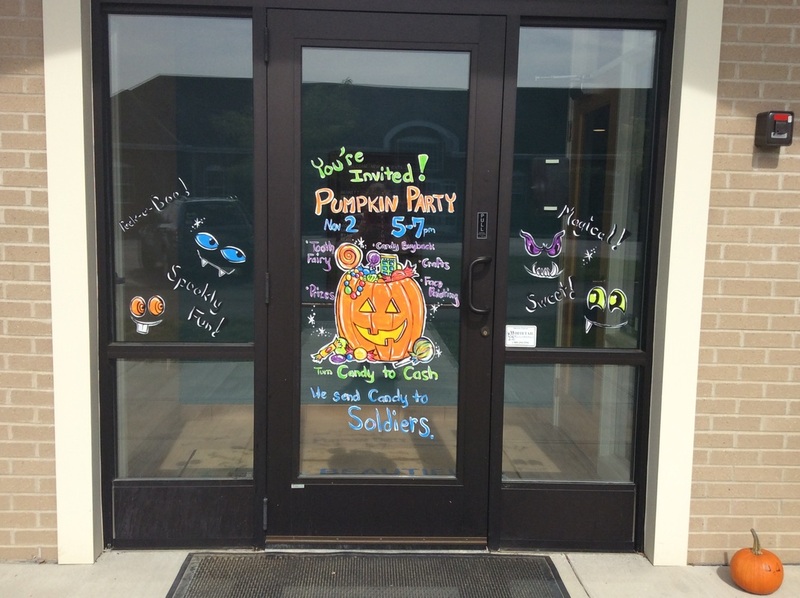 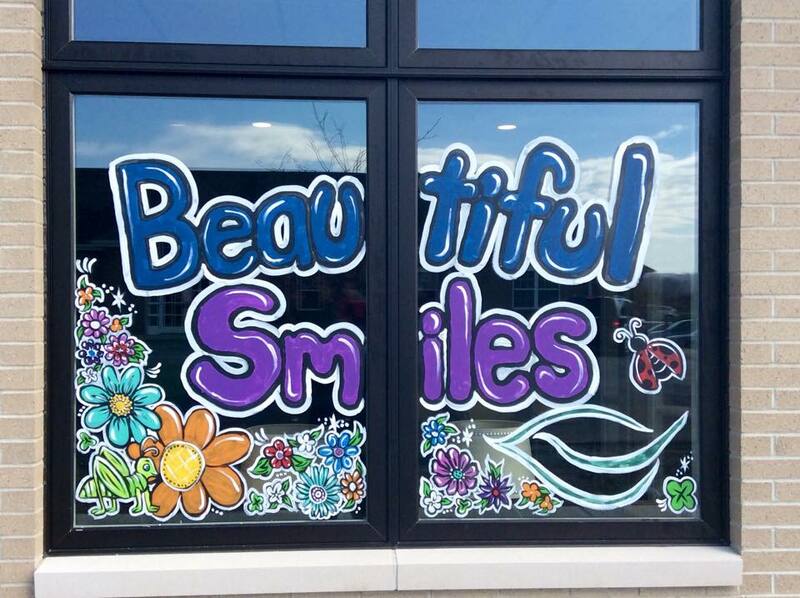 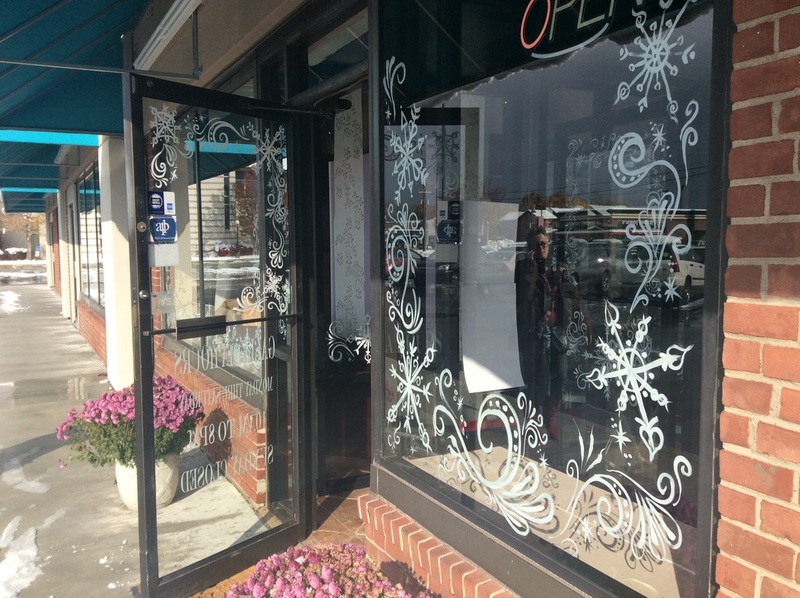 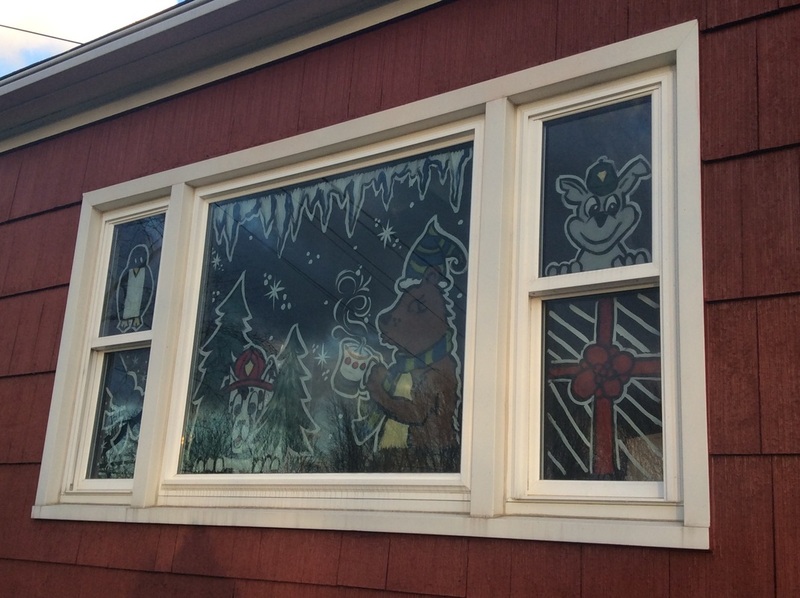 Window Art is ALL HAND PAINTED designs that will draw attention! Dress up your business for a special VIP event, sale, or holiday and get your customers talking. 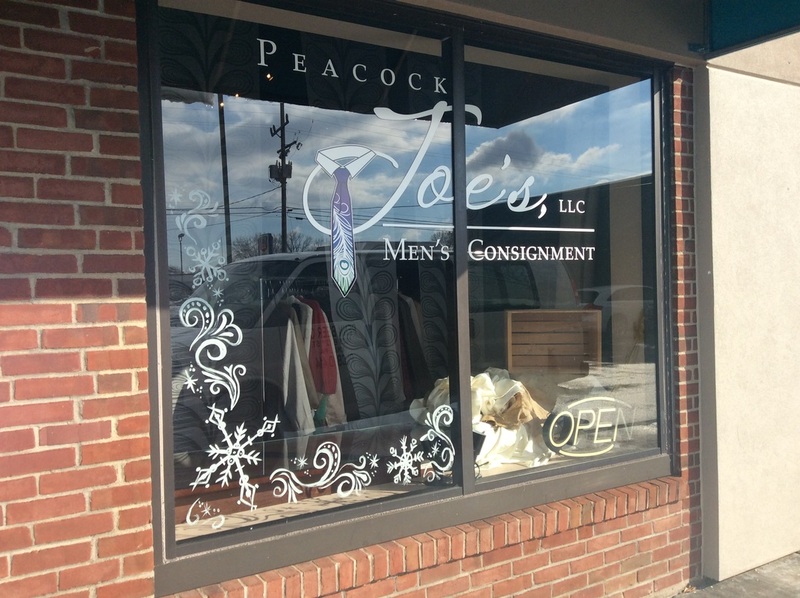 Pull in new customers by drawing their gazes and standing out among your competitors. 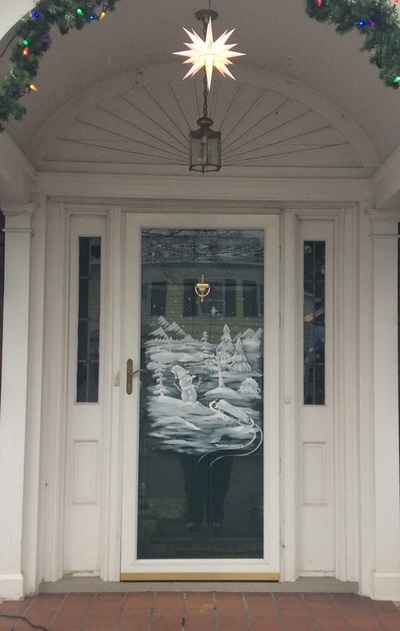 Choosing a lovely custom artwork for your home windows or rooms is a way to support a local artist and to have a unique, one of a kind piece of art. 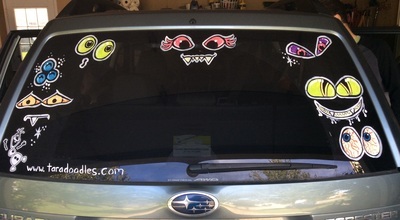 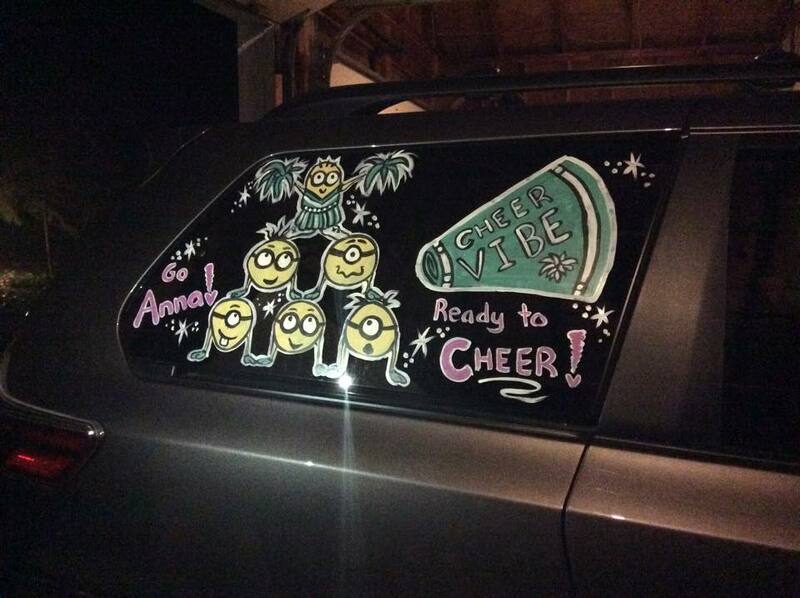 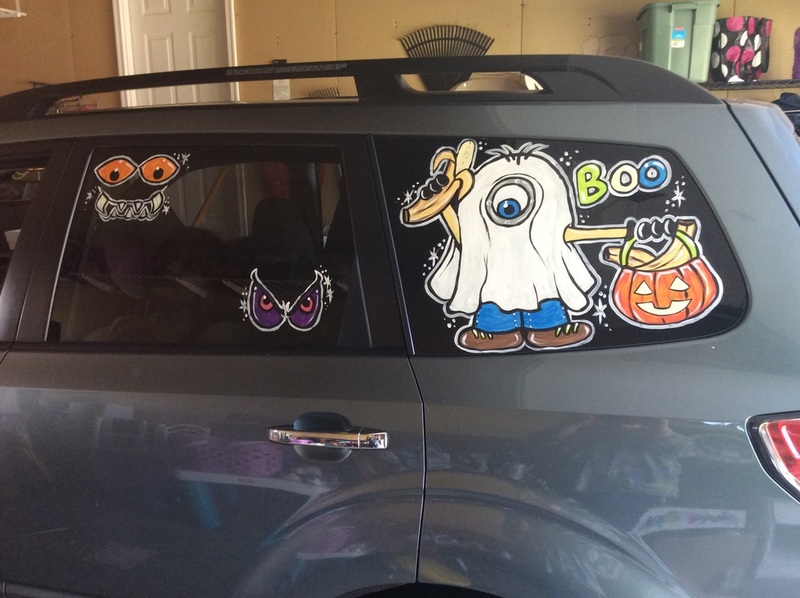 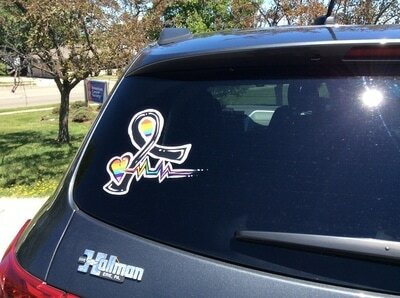 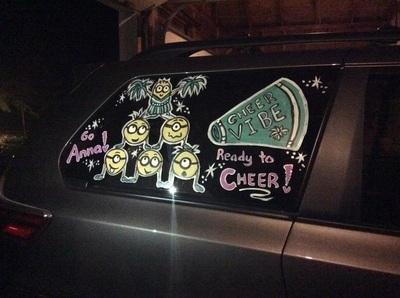 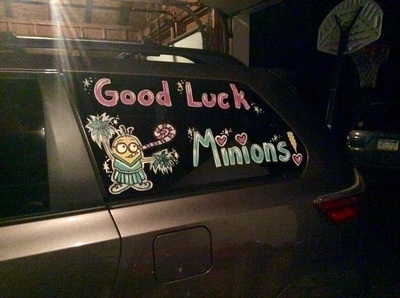 Get your team spirit on, congratulate a pal, celebrate a group charity or fundraiser, or even just perk up the holidays by driving around with an eye catching creation. 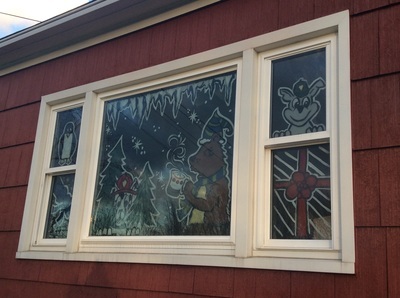 Kids love seeing their favorite characters at home celebrating their birthday! 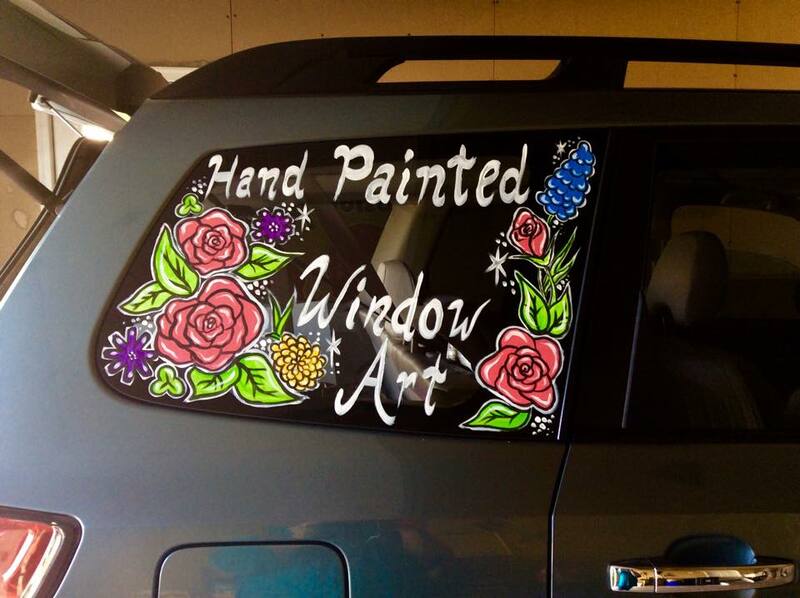 Paint is safe for all windows, weatherproof, and removes easily with the right tools. 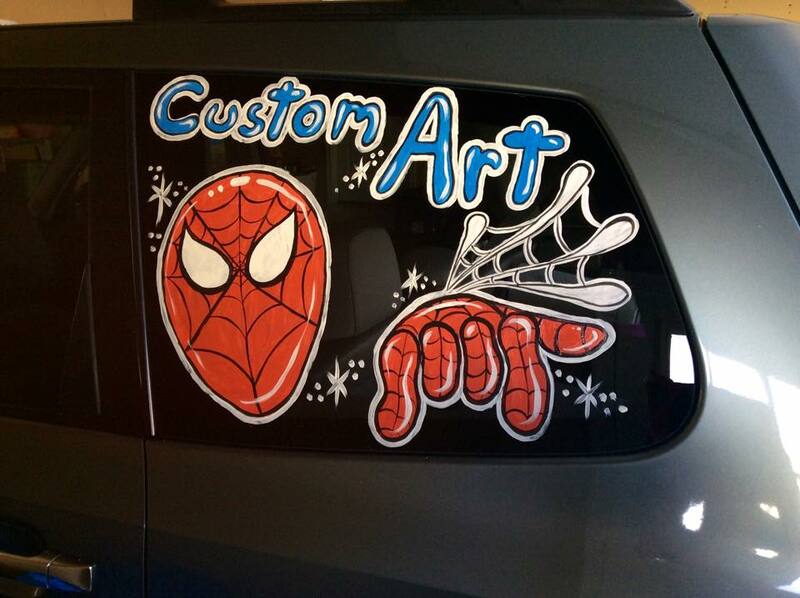 Prices are based per design, so contact me for further details. Chalkboard art is done with actual chalk and not markers. 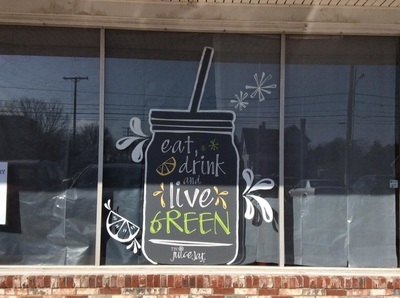 The SchoolHouse Tavern is a place that has terrific hosting space and many large old type chalkboards to decorate. 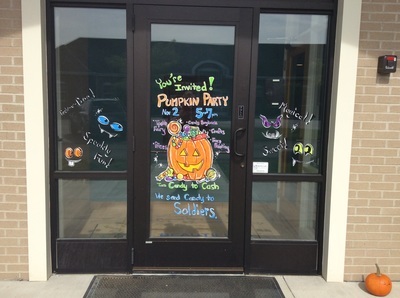 Rate is $100 for all chalkboards to be decorated. 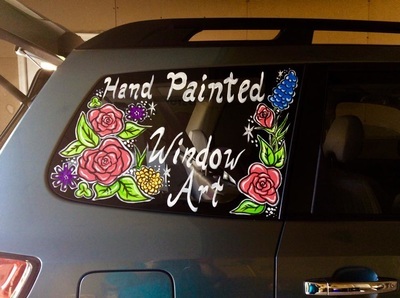 Designs and colors are all optional. 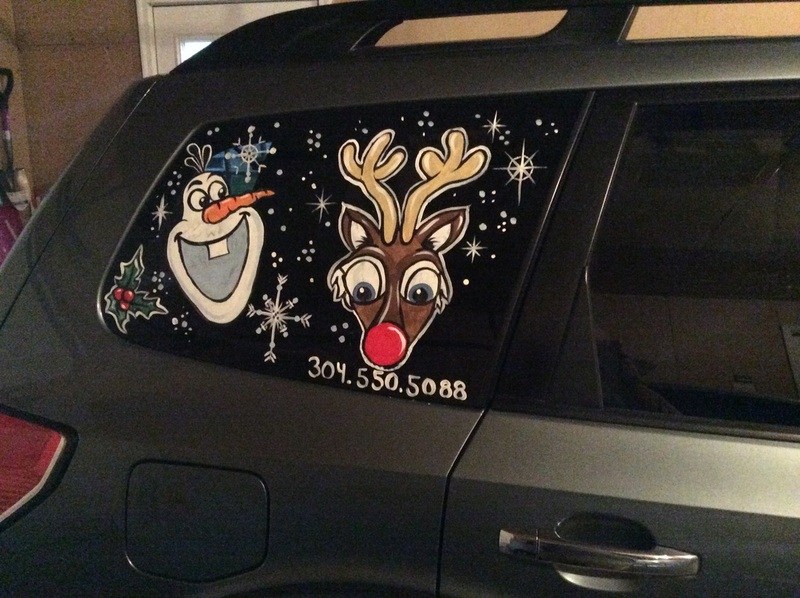 Great for advertising upcoming events, celebrate a holiday or festive cheer, or to root on a local team. 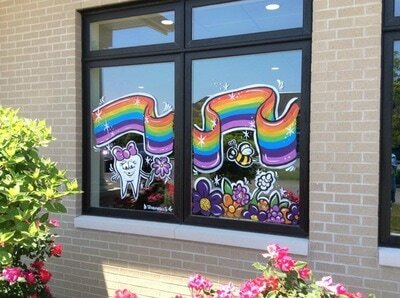 Temporary art that grabs attention and can be safely removed without harm to the windows. 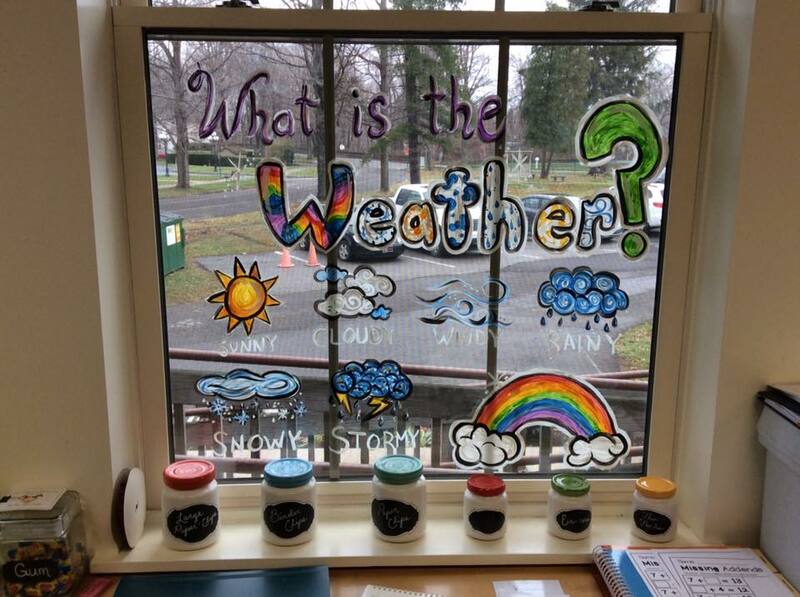 Lasts through weather and stays bright! 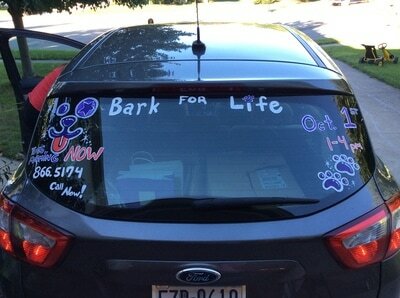 Rates start at $25.